It's officially monsooon season in Dorset! 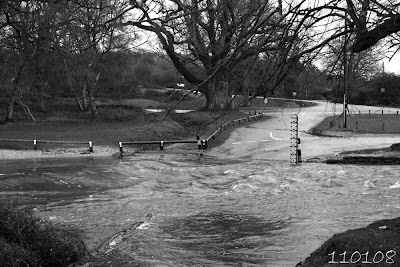 I'm almost tempted to hang out near the ford up at Moyles Court to see if any nutters try and drive through 12inch deep water! There have been a few vehicles over the edge and floating upsteam recently! Everyone's been safe so it's ok! Sadly though it was a bit rough even for Martha! I've got some mini canvases planned, that i'm hoping to make a start on tonight, i'm going to use a couple of inspirig words and a whole lot of acrylic paint... i'll aim to show you tomorrow!